So you’re looking to go off the grid, or maybe just build a backup power system to ensure you can survive a long-term grid down situation? If you’re like most people who email us, you probably have a number of questions on how to do it, how much it costs, and what you will need to be successful. How many solar panels will you need to power your home? What can you realistically power with an off-grid solar setup? I’ve read through thousands of articles and forums, and talked to hundreds of experts; one thing that never fails is the topic of solar can be downright confusing. I’m not going to over complicate this article, or bog you down with theoretical examples and difficult mathematical equations. We are going to look at baseline figures on how much power you consume, how many batteries you need to power your home, and how many solar panels you need to maintain those batteries and guarantee you have the power you need when you need it. Determining your power needs: How much power does your home consume? The first step in determining how many solar panels and batteries you need to power your home is finding out how much power your home is actually using. There is a mathematical way to determine this, which will get you close; or, there is a simple way to determine your needs that will only cost you about $20. The first way looks at the manufacturer’s guidelines to determine power draw. The wattage of an appliance can usually be found on a label attached to the power cord. It’s listed in either amps or watts; you want to know the watts — don’t worry if it doesn’t tell you there is a simple formula for figuring it out. For simplicity sake, the average household wiring is 120 volts; chances are, your appliances and anything you plug into the wall runs at 120 volts. Trust me on this one. So we take the 360 watts and multiply that by the hours a day we run that specific device and come up with a daily wattage figure. So if we run that device 3 hours a day, we will need 1080 watts a day. In the case of something like a refrigerator which may draw 400 watts an hour, we need to multiply the number by 24 hours coming up with 9,600 watts a day. Method 2: This is the method I suggest, because it’s going to give you real-world data, account for your startup draws, and give you numbers based on your unique environment and how you live. Buy a Kill A Watt Electricity Usage Monitor. For $20 you can buy a device that will measure exactly how much power your appliance uses throughout the day. Run this on each appliance for a week and you have real world data that will guarantee your math is not only right, but it factors in how your family uses these things in the real-world. Screw estimates — let’s get this right from the beginning! 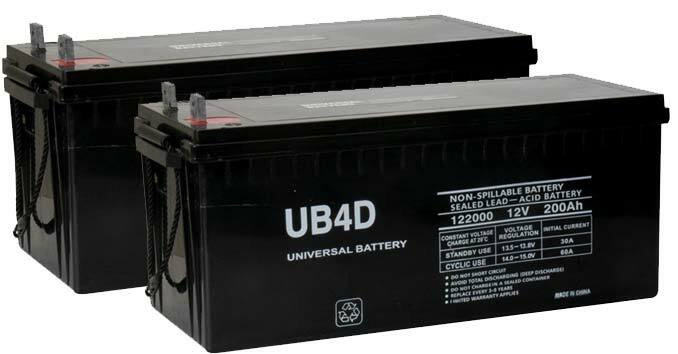 Battery Bank Size: How many batteries do you need to run your off-grid system? Now that we have our numbers, we can start figuring out what we realistically need and how much our off-grid system is going to cost us. Ok, so I hope I don’t lose you here; but when we are looking at batteries, we need to calculate what we need in AMP hours (AH) – this is how batteries are rated. Amp Hour (AH) gives you a measurement of battery capacity. In other words, it tells you how much energy can be stored by the battery. So to come up with the number, we are going to divide the total battery capacity required by the voltage of the battery. So in the case of a 12-volt deep cycle battery, we are going to divide our 9,600 number (watts a day for the refrigerator) by 12 (volts) which tells us we need 800 amp hours. So assuming we found some deep-cycle batteries rated at 200 amp hours, we would need four batteries for our system. I wanted to write this article in the simplest terms I could, that way everyone can understand the basic concept, but I know if I leave this out some smart guy is going to come here and start complaining in the comments section, so here it goes. These are all rough estimates. In the example above I’m going to want to add at least another battery to account for things like discharge, days where the sun might not be shining, etc. I also know that these AMP hour specifications are only a gauge of the relative capacity of a battery. Peukert’s Law: Here’s where things get a little screwy. A common misconception is that a 100 AH battery will give you 100 amps for 1 Hour. WRONG! There is a phenomenon referred to as Peukert’s Law. To get the real storage capacity of the battery, you need to understand that the amount of energy stored is dependent on the battery’s discharge rate. The greater the rate of discharge, the lower the delivered capacity will be. Unfortunately, most manufacturers know that at this point in the conversation most people’s eyes glaze over, so they don’t advertise a Peukert’s exponent. Now consider Peukert’s Law can be affected by things like temperature and battery age, and you can throw your estimates right out the window. See why I tried to keep the article simple? So for people that don’t want to get to bogged down in the equations, I always suggest overestimating your needs a bit. 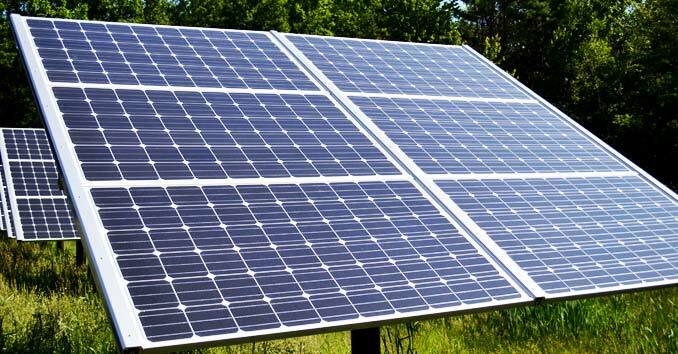 Solar Panels: How many Solar Panels do you need to run an off-grid system? Ok, I hope I didn’t lose you there; but don’t worry, we are almost home. Now we can estimate how many solar panels we need to maintain our system. Let’s say you have a 100-watt panel. You want to take that number and multiply it by the number of direct sunlight hours you have in a day. So let’s say you average about 6 hours of direct sun a day, that one panel can produce 600 watts a day. Next, take your daily wattage needs, in the case above 9600, and divide it by the daily panel output. So in the case above, to achieve my 9600 watts a day, I would need sixteen 100 watt panels. Now, of course, this will depend on the wattage of your panels, but you should be getting a better idea of what you need to power your setup. For the 9600 watt system, I need sixteen 100-watt panels and four 200-AH batteries. Remember these are baseline figures to help with your estimation; in the real-world, these are only numbers and just like all areas of preparedness you need to compensate for failure points. 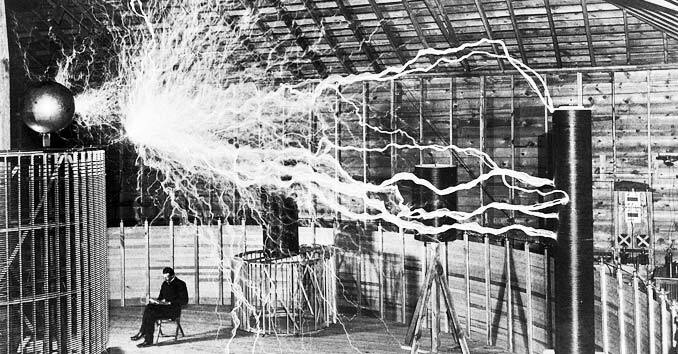 It’s better to go a little bigger and overcompensate, becuase when it comes to off-grid power there are hundreds of factors that we can’t account for that are going to popup at some point down the road. If a ten-day storm comes through and you lose the sun, you need to have a backup plan! Buy one panel and check the output in your area. Adjusting the tilt for hemisphere and time of year. If you already have a grid tie inverter plug it to house power and into a “Kill A Watt”™ Electric Monitor(this way instead of watts used it will show watts produced). This will tell the story. You will be surprised at how little power(watts) a panel really puts out. Then do your calculations. I will add, There is a lot more to this, like keeping all the Wire connecting cables in your battery Bank the same length, and keep your batteries as close to your solar array as possible, like a preferred Ground Mount system, for Off Grid, so the batteries may be located right under the panels in a box, separate from the electronics of the controller and inverter, The batteries give off gas and can erode the electronics or connections. Add distilled water to your batteries once a month. There is a lot of energy loss in DC Wires vs A/C Maybe a 40 ft wire run from the solar panels to the controller and batteries, you bay loose up to 30% of your energy in resistance in the wiring. So keep your D/C Run and batteries together. The A/C run can be run a long ways with little resistance. Lots to think about and know to maximize the efficiency. Solar panel tilt, and or roof tilt in mounting and direction can all be calculated out in web calculators I listed above in my last post. Good Luck. Maybe hire a licensed electrician. And there is still a 30% Fed tax credit to Dec 2019, if this solar is installed by a certified electrician solar professional. Something missing here. I realize that you’re trying to simplify, but you left out the fact that you have to run the 12VDC power in the batteries through a voltage inverter to convert it to 120VAC for the refrigerator (unless, of course, you have a 12VDC refrigerator). For that voltage inverter to put out 3 amps of power at 120 volts, boosting the voltage 10 times, it needs to take in 10 times the current, or 30 amps. ….power in = power out…. Over simplified but gets you decent figures to get better estimates of your needs! There are many factors,and you could write a small book about each one! Yes, P in = P out but what he is saying there are P losses along the way and there are way to minimize some of the losses. Many panels already have built in inverters… you basically plug them together and you have house current AC straight on. The batteries can provide the amps you speak of (100 AmpHour, etc) BUT not for long. Power outage or shut off at night you want to be judicious about using the coffee maker, etc. So do you actually have solar now? I do and its 4 – 5 kilowatts of panels your going to need if you have good sunlight and not a lot of cloudy days. Because a 3 Kilowatt array may only produce 3.4 kw on a good day and 0.8 on a bad day. Sorry typo in there it is supposed to be 2.4 kw produced from a 3 kw array. Very good article. I don’t feel like you left out anything important. I’ve done a little research into this, but your article helped shed some light on the subject for me in the math that I hadn’t bothered to go too deeply into. Thanks! Do I understand correctly that it would take 16 panels and 4 batteries just to run a refrigerator for 24 hours? If that is the case – wow – it must take dozens to run a whole house system! Who runs a frig for 24 hours unless your selling solar panels. Put a DC timer in line and turn on the frig perhaps 3 or 4 hours a day divided out by 24 hours, not all at once. Turn off the ice maker and put a AC timer on the frig to do the same thing. Inverters on panels are good idea. I use a couple of 45 watt panels and 32 feet of 6 gauge booster cable run for low loss. I use the new 24V minimum charge voltage solar controllers to 2- 12 volt batteries in series and just tap them as needed with 12 volt inverters that match the requirement. 1000 watt inverter has a 100 watt loss 10% efficiency, use smaller inverters for lighting. New 24 volt controller charges up to 76 volts programable and charges e-bike batteries, when there is not gas or power to pump the gas. No need to be a slave to a 12 volt only controller anymore. My Harbor Freight panels are amorphous and do not need to be aimed as precisely as the others to allow good output. Thank you so much for your article … very insightful!